Avnet, Inc. (NYSE: AVT), a leading global technology distributor, today released the PicoZed™ SDR Z7035/AD9361, a rugged, low-power, small footprint system-on-module (SOM) that integrates critical RF signal path and high-speed programmable logic, enabling designers to dramatically reduce cycle times for development of RF-to-baseband signal processing cores for wireless communications systems. The fully verified PicoZed Software-Defined Radio SOM provides frequency-agile wideband 2x2 receive and transmit paths in the 70 MHz to 6.0 GHz range, making it suitable for both fixed and mobile SDR applications. Click here for a short video demonstration of the new PicoZed™ SDR Z7035/AD9361. The PicoZed™ SDR Z7035/AD9361 SOM, which combines the Analog Devices AD9361 integrated RF Agile Transceiver™ with the Xilinx Z-7035 Zynq®-7000 All Programmable SoC is supported by robust simulation and code generation tools that integrate seamlessly with Xilinx Vivado® Design Suite. For fast prototyping of software-defined radio products, Avnet has also released the PicoZed™ SDR Development Kit, which bundles everything required to kick start a software-defined radio (SDR) design, including the PicoZed SDR Z7035/AD9361 SOM, a carrier card for prototyping with standard high bandwidth interfaces like USB, Dual Gigabit Ethernet, Small Form Factor Pluggable/Common Public Radio Interface and RF power modules. Fast data exchange with MATLAB® and Simulink® is supported for system design and test along with hardware/software codesign workflows for system deployment. "Whether they are in the consumer, military or industrial space, wireless radios today must be small, lightweight, low power devices that are agile across a wide range of frequencies. Software-defined radio technology provides makers of portable communications devices, including Public Safety Radio, point-to-point communication and wireless cyber security, with a level of flexibility and upgradability that is impossible to achieve through hardware-only customization," said Luc Langlois, director, global technical marketing, Avnet Electronics Marketing. "PicoZed SDR enables engineers to start application-level development immediately with the same system-on-module that will be used in production, reducing the risk and time required to develop and deploy production SDR equipment." "A basic software defined radio architecture looks relatively simple. Just digitize the RF signal, then process the digitized results using various algorithms. However, for many hardware and software engineers who want to develop products, there's been a challenge: getting all the hardware and software pieces in place and working is complex and time consuming. The PicoZed SDR SOM with the AD9361 RF Agile Transceiver changes that," said Robin Getz, director of engineering, Analog Devices. "The PicoZed SDR SOM is easy to use and supported by a robust software ecosystem designed with a comprehensive C API with C++, C#, and python bindings. Each unit includes an open and reprogrammable Zynq device with Kintex class FPGA (275K logic cells) and a Dual ARM Cortex A9 running at 800MHz for data processing. The various carriers provide a multitude of connectivity, from SuperSpeed USB 3.0 and Dual Gigabit Ethernet to PCIe, allowing live data streaming into various SDR design environments, including MATLAB/Simulink. SDR developers can now quickly move from algorithm development to final product, using the same radio and base band processor hardware." "PicoZed SDR is ideal for wireless system development and deployment," said Ken Karnofsky, senior strategist, signal processing applications, MathWorks. "When coupled with design tools like MATLAB and Simulink, PicoZed SDR boosts designer productivity with a single environment for prototyping, verification and production deployment of wireless systems." 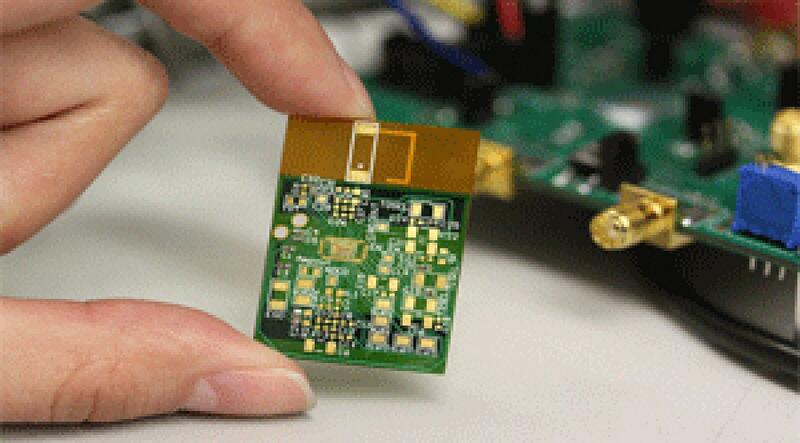 "Based upon our initial tests of an LTE system, the entire PicoZed SDR module used less than 5W of power," said John Shanton, MILCOM system architect, Xilinx. "This advanced SDR platform enables your wireless application to be up and running instantly on a complete single board radio." The PicoZed SDR Z7035/AD9361 system-on-module (SOM) is available for order today from Avnet Electronics Marketing for US$1095. The PicoZed SDR Development Kit is offered at US$1799 and the PicoZed SDR FMC Carrier Card is US$595. For further information on the PicoZed SDR SOM and Carrier Card or to order the kit, go to www.picozed.org/sdr.